This knife is designed with outdoors in mind and purpose. 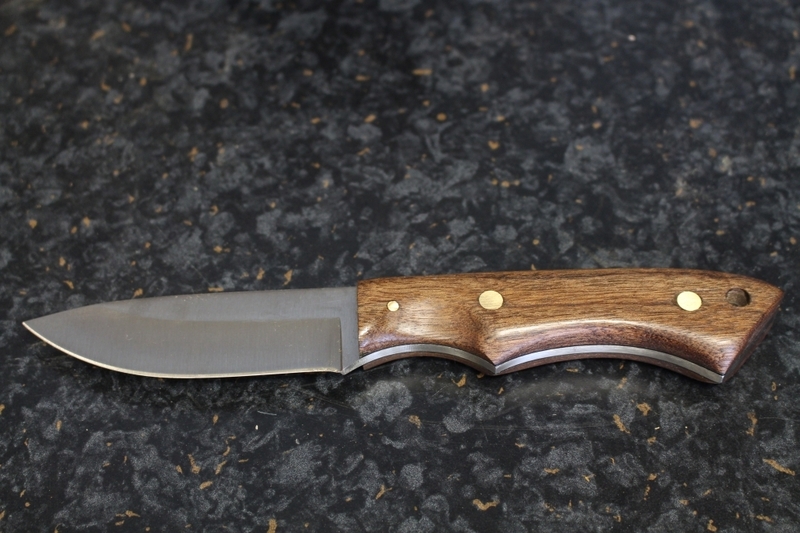 It is an entry level heavy duty stainless blade with the toughest types of treated woods for scales. This knife is a life time investment and, if looked after correctly, will still be function and look as good as it did when you first purchased it long after you are gone. This knife comes with a basic nylon sheath! The knife can be provided with white or black liners. Please see our Sheaths page for a selection of hand made sheaths that fit this knife.